Greetings Coaches! Welcome to the hardest part of Jr. FLL - registering with FIRST. I am going to try to help you out by walking you through the steps with pictures. 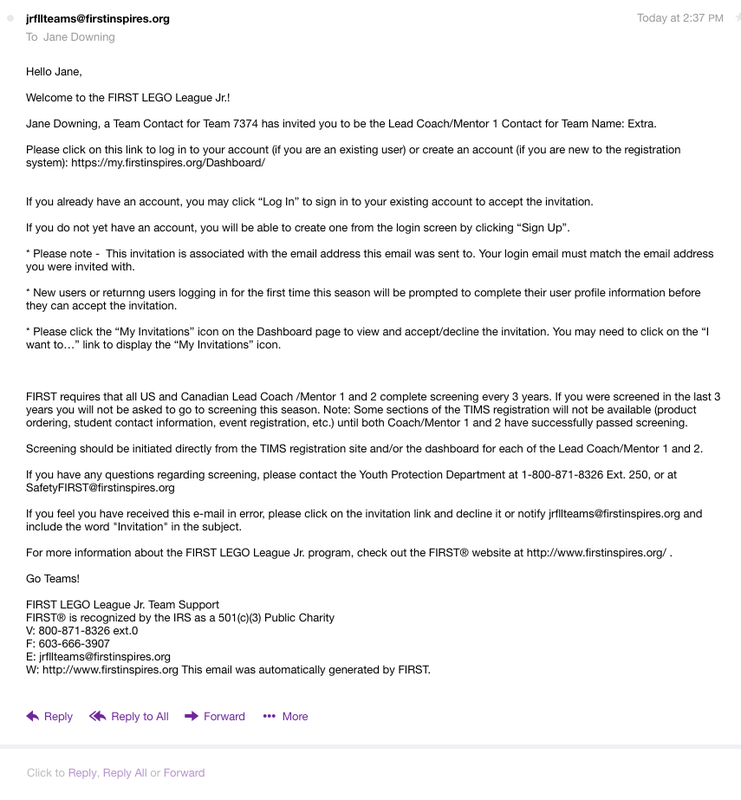 Start by creating an account by registering with FIRST at firstinspires.org. Please use the email address you used to register your child and volunteer to coach with G-REC, as that is the email we will use to invite you to coach the team. After receiving that email, you will login into your FIRST account and look at your "Dashboard." Notice that there is an alert on "My Invitations." Click on the invitation and accept it, then add the team. 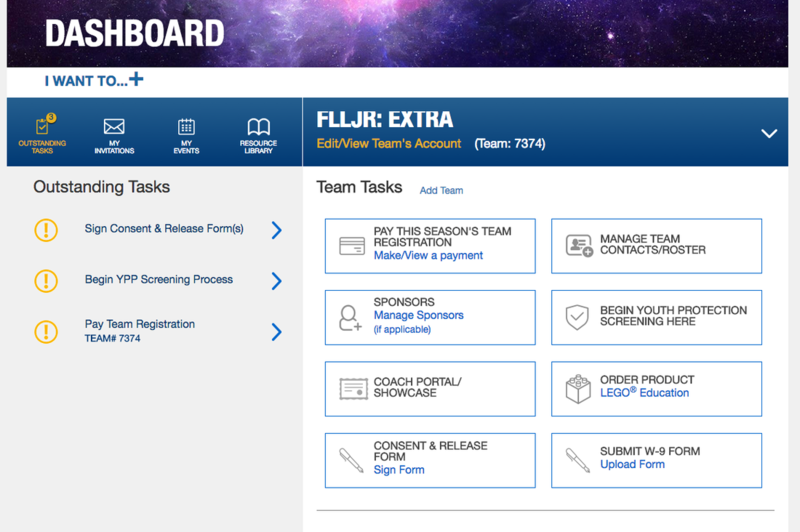 A note about the screenshot below - the team name (assigned by g-REC) is FLLJR: EXTRA. The team number (assigned by FIRST) is 7374. 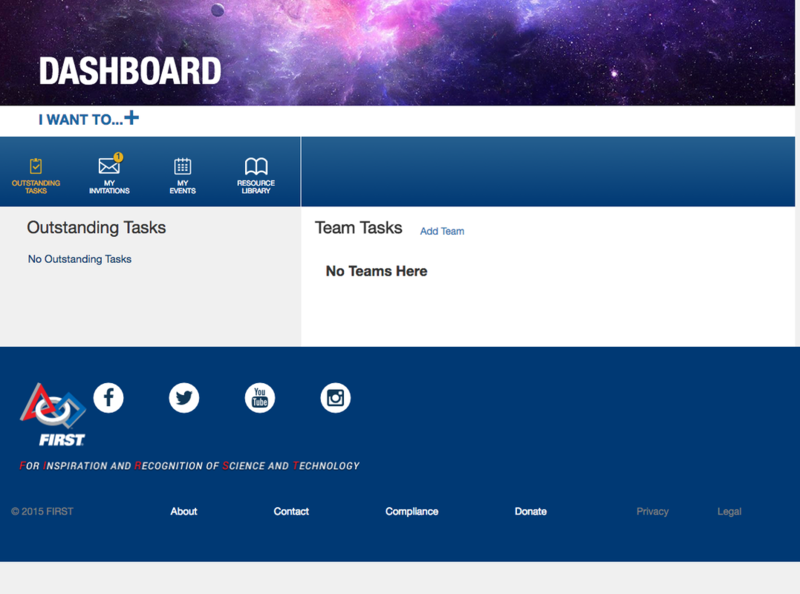 This is what your "Dashboard" will look like once you have accepted the coaching invitation. 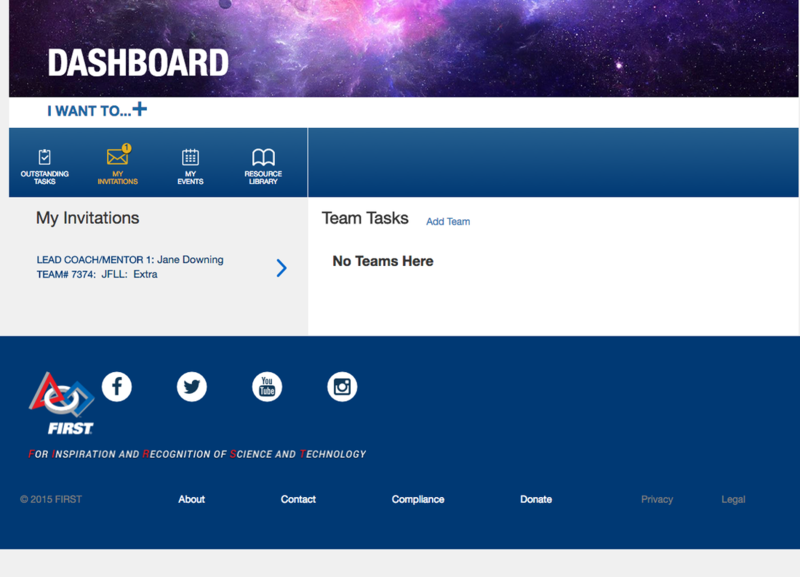 2) "Manage Team Contacts/Roster" Here is where you will invite parents to register their children for the team. 4) "Begin Youth Protection Screening Here" All coaches must complete (and pass) the YPP every 3 years. This is separate and in addition to passing the background check conducted by Glastonbury Public Schools. 5) "Coach Portal/Showcase" Here is where you click to find your challenge materials. 6) "Order Product LEGO Education" No action required. If you choose to shop at LEGO Education through this link, you will not be reimbursed by G-REC or your team. 7) "Consent and Release Form" You will need to click and sign the consent and release. This button will disappear once you have done so for the season. You will need to sign this each season. 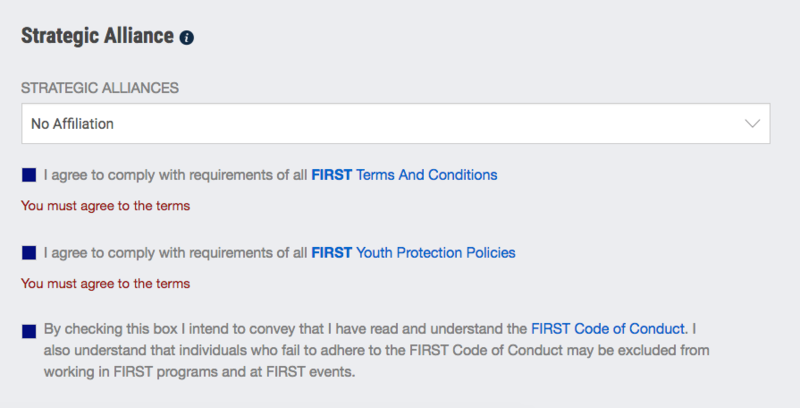 BOTH Coaches MUST have signed the consent and relsease form AND passed the YPP before G-REC can pay your registration fee and order your materials. We will not be allowed by FIRST to complete that for you until both coaches are fully registered. You do not need to invite your team in order for us to pay and order.